It has been a long time between drinks for Special Navy. Special Navy (a member of the MPM / Special Hobby stable) released their debut kit, a 1/72 scale late-war U-Boot Typ XXIII, around three years ago. They have now followed up with their second kit - a U-Boot Typ IIA. The U-Boot Typ IIA was a submarine designed in secret before the Second World War. Around 50 Type II U-Boots of all variants were built, with six of these being Typ IIA. They were all commissioned in 1935, and all saw active service during the war. 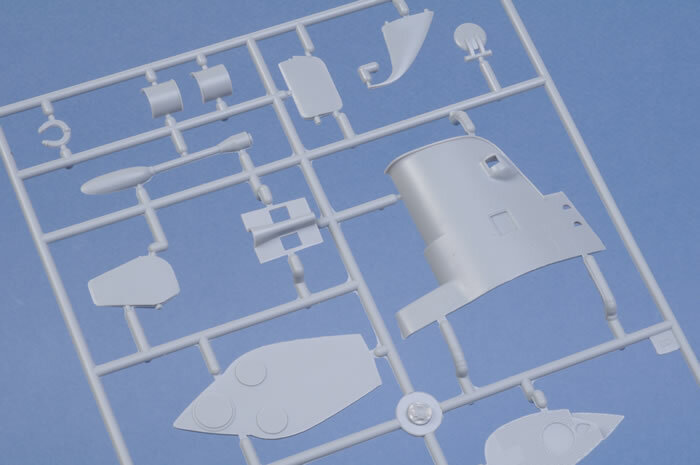 Special Navy's 1/72 scale U-Boot Typ IIA comprises 68 parts in grey styrene; 13 parts in cream colored resin; 28 parts in white metal; two turned metal parts; nickel plated photo-etched fret; instructions; decal sheet and painting guide for four vessels. 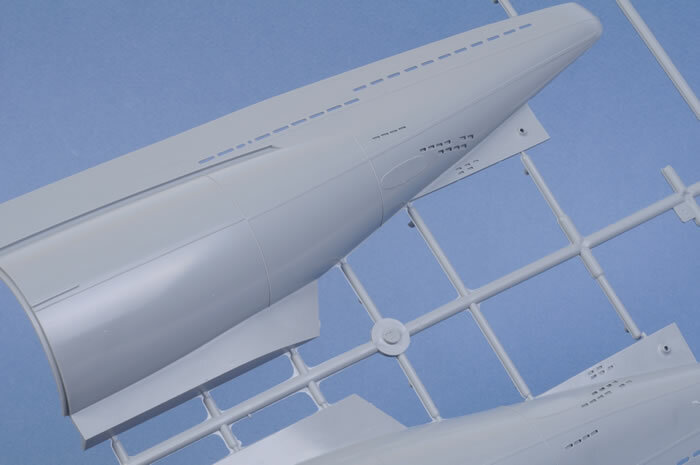 Although it was a relatively small submarine, it is still a big model in 1/72 scale at around 47 cm long (around 18.5 inches). 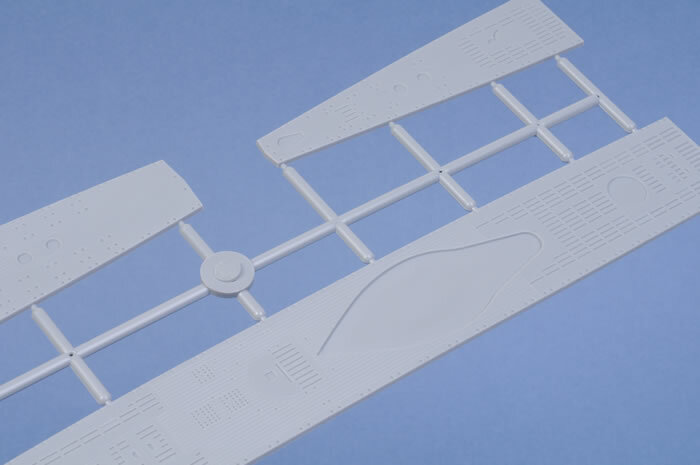 The plastic parts are well moulded with no sink marks or ejector pins on any exterior surfaces. Some of the smaller parts are surrounded by fine flash, but this should be easily cleaned up with sharp hobby blade and a sanding stick. 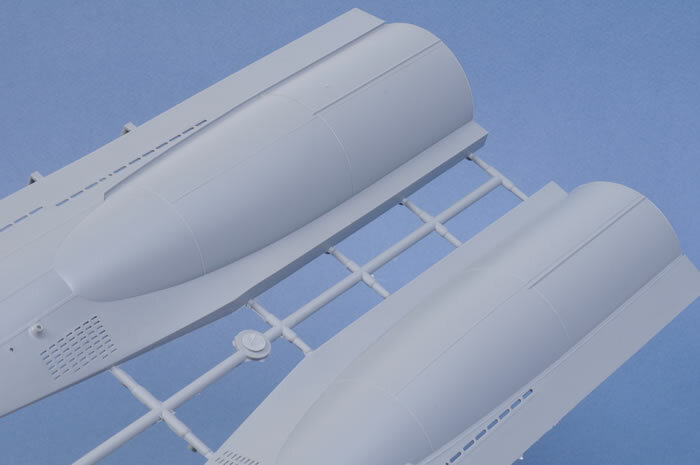 The hull is supplied in four parts - two parts per side. The parts are robustly connected via a vertical lap join. The two side-mounted forward torpedo tubes are open. 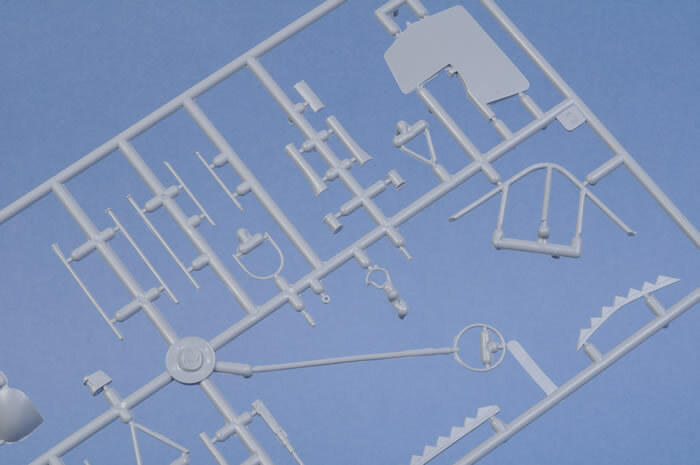 Whereas some scratch building of railing and other details was necessary for Special Navy's earlier Typ XXIII release, this kit contains all the parts the modeller will need right in the box. 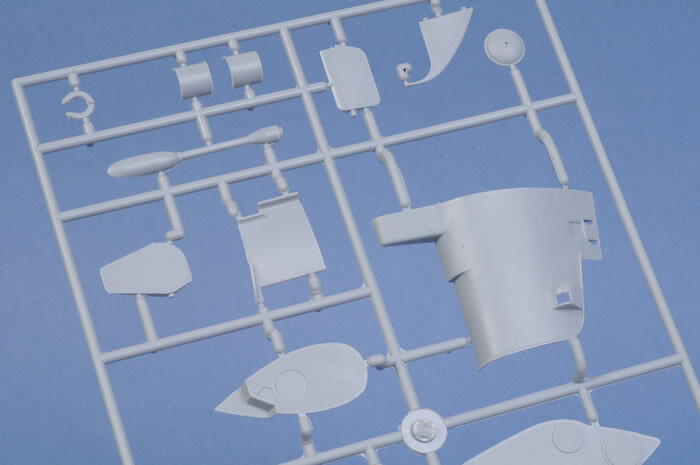 The resin parts cover the gun mount and details, screws and bollards. 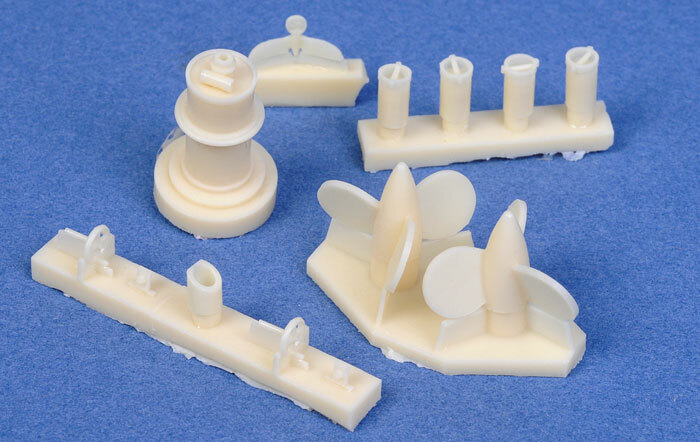 These parts are perfectly cast in cream coloured resin. 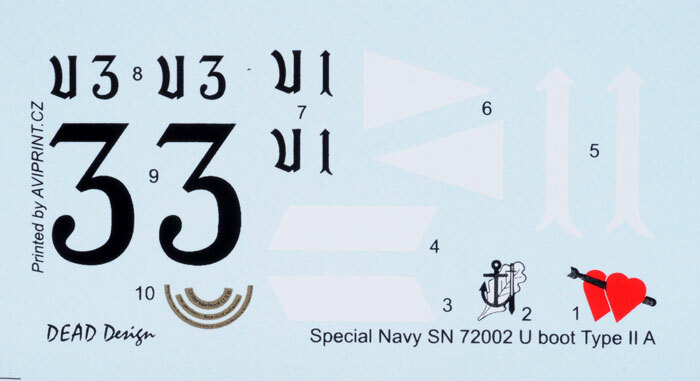 The photo-etched fret contains grilles, conning tower rails, handles, boat numbers and other details. 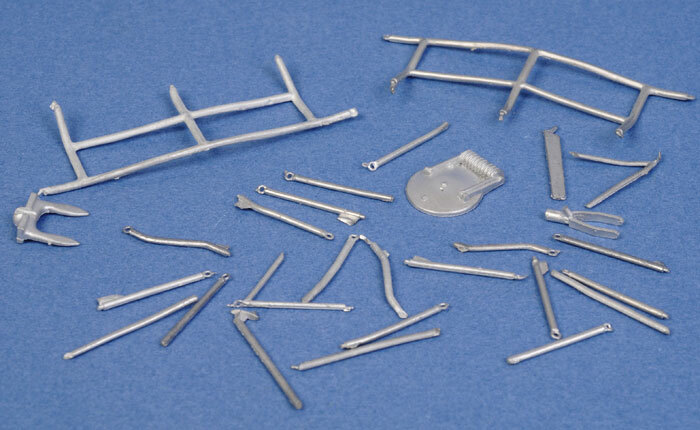 This offering also includes white metal and turned mtal parts. The white metal parts are for the deck railing, stanchions, anchor and conning tower hatch. This media is especially appropriate for the railings, as it can be cast with holes for the hand ropes. 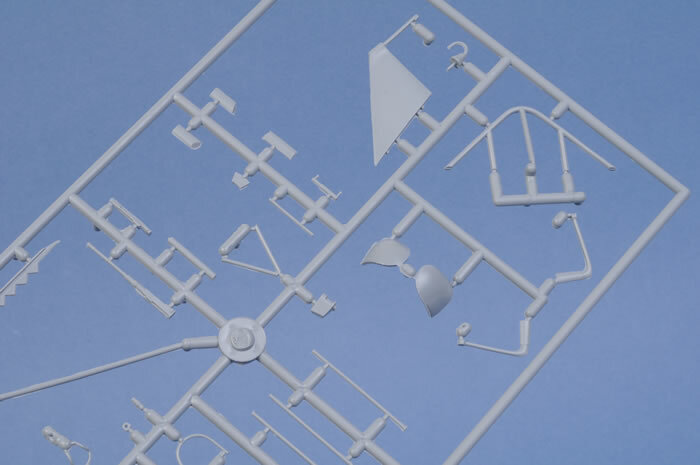 The soft white metal needs to be bent into shape, particularly the mid-deck stanchions. 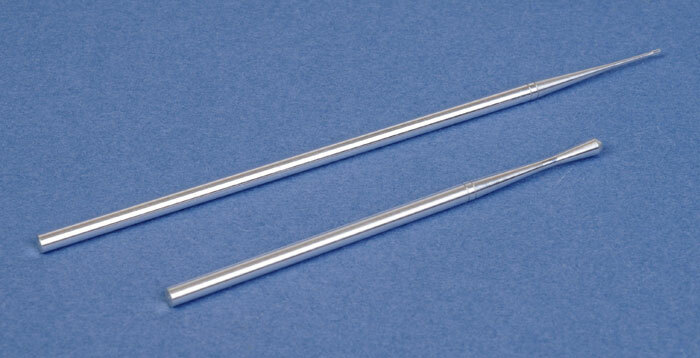 Finally, two periscopes are supplied in luxurious turned metal. These will be an attractive crown for this nicely detailed model. Four marking options are supplied for three of the six total Typ IIA U-Boots. These are two options for U-3, plus U-1 and U-6. Each boat features different tower markings. U-3 offers two styles of "tower art". 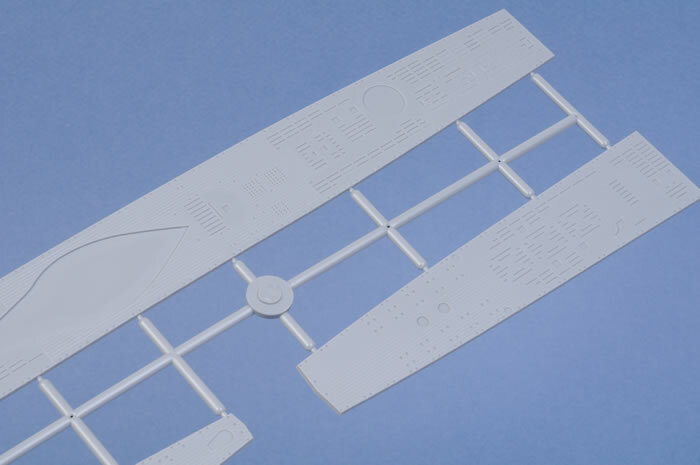 The decal sheet is crisply printed and in good regsiter. Kit engineering is quite straightforward. 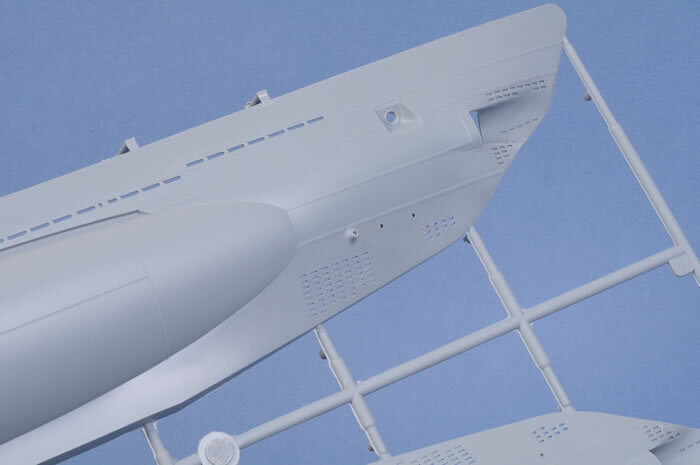 Any modeller who has already built a few limited run kits from companies such as Special Hobby or Classic Airframes should not have any trouble with Special Navy's U-Boot Typ IIA. 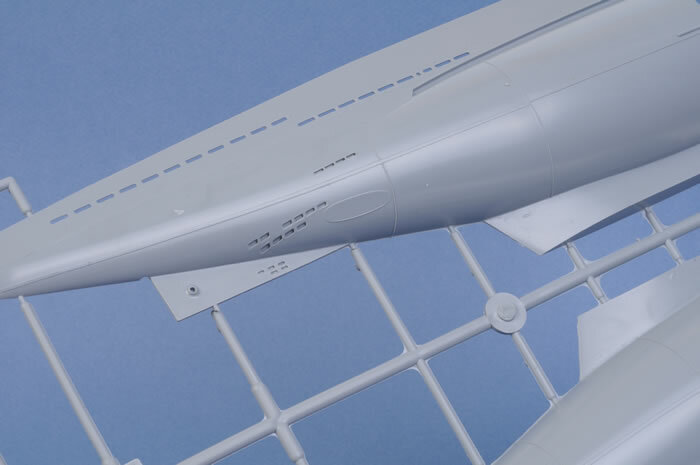 Special Hobby's 1/72 U-Boot Typ IIA is an impressive and well detailed model. 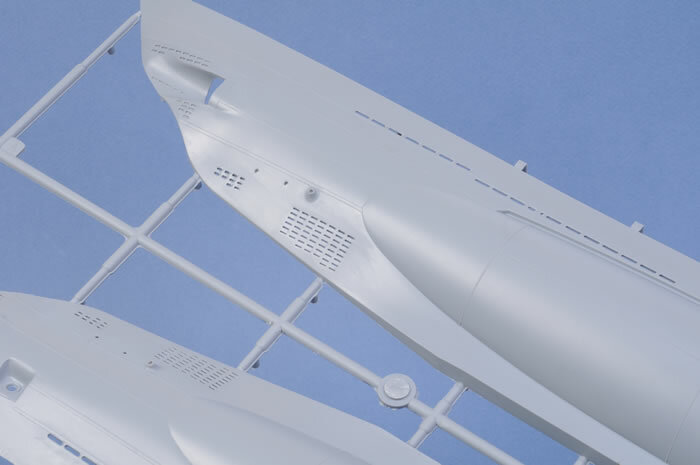 It represents an improvement over Special Navy's Typ XXIII U-Boot in the areas of parts breakdown (the four-piece hull will be less prone to warpage than the large single-part hull halves of the earlier kit), and the higher number of multi-media parts. 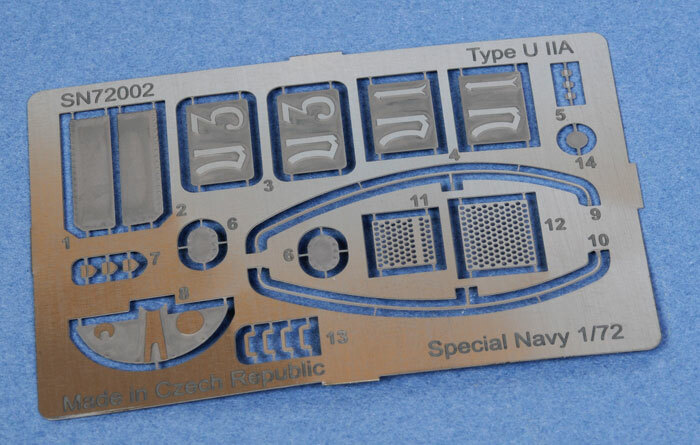 If you want a conversation item for your mantlepiece, or you are just looking for a different modelling subject, Special Navy's 1/72 scale U-Boot Typ IIA will be a good choice.